I think I found the perfect flowers for Valentine’s Day. For you or a loved one. I love flowers. I love them in nature and I love them in my home. I have them dried and drink them as tea or use them in pelvic steams. I have the essential oils. And then I have them in my skin care products. Clue: it’s about roses. 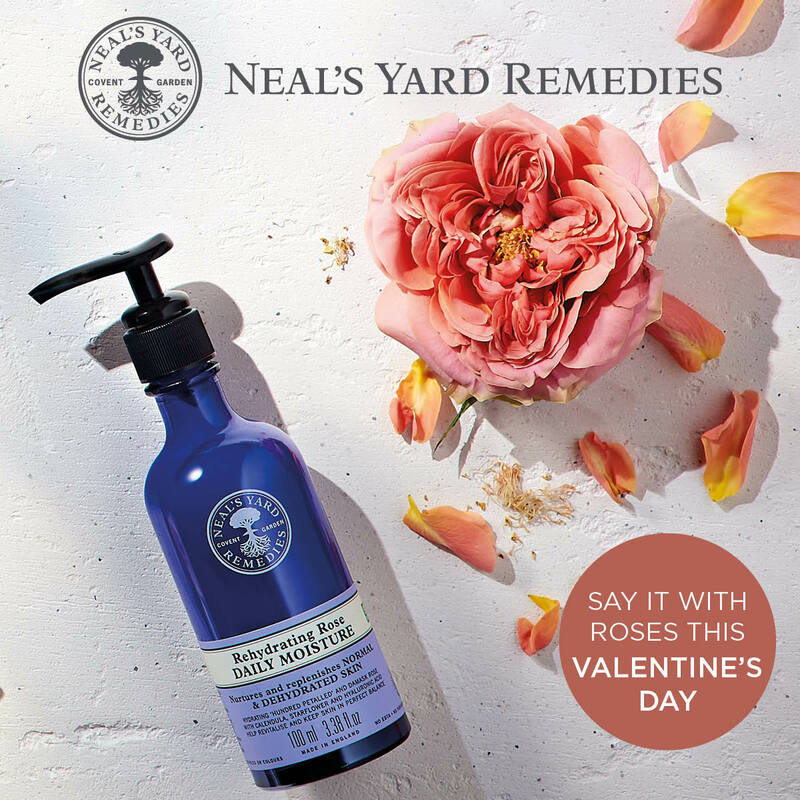 Roses in an alternative yet divinely fragrant way for body and mind. My skin care routine is very very simple. I use this Rose Facial Wash in the morning to refresh and clean. And again every evening to clean my face and it removes any make up too. Your skin feels clean, yet there is no dryness or irritation so great for even sensitive or skin prone to dryness. After washing my face I use the Rehydrating Rose Daily Moisturiser. This is actually the moisturiser I use. It is light yet super hydrating. You feel like you put on a cream but it isn’t sticky. It’s excellent for most skin types. And that’s pretty much it for my skin care. I do enjoy using oils too. Including the Rehydrating Rose Facial Oil. The aroma is just divine and it’s aromatherapy on all levels. So yes.. I do like rose. 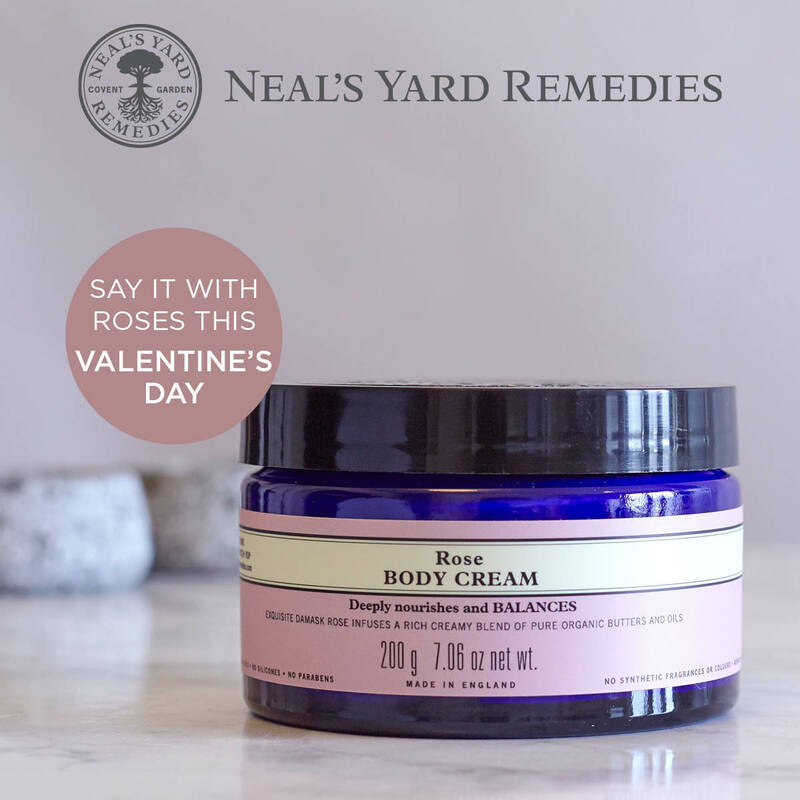 And I also love this Rose Body Cream. This one is for the body and it is a cream rather than a lotion. It has a beautiful aroma from the natural ingredients – including rose of course. Even the husband likes using it as it isn’t too greasy at all! It may be rich and deeply moisturising but it does absorb really well. 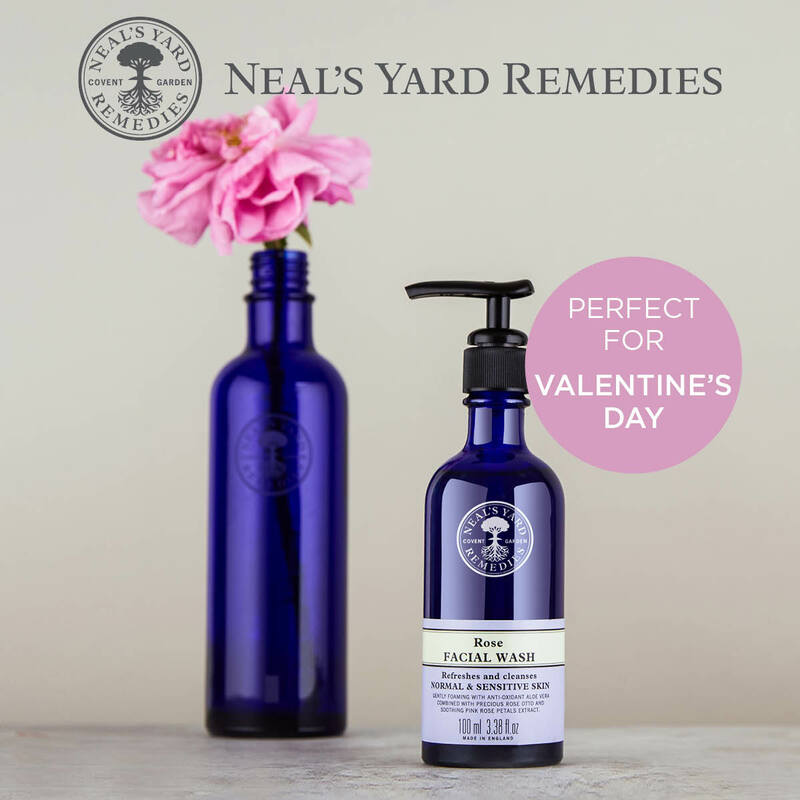 You know I love Neal’s Yard Remedies products and I also sell them through my webshop. These are the ones that I actually use and love. And maybe a bit of inspiration for Valentine’s day and general flower power. For a limited time, you can get some EXTRA + FREE rose love into your life when you order through my link here. 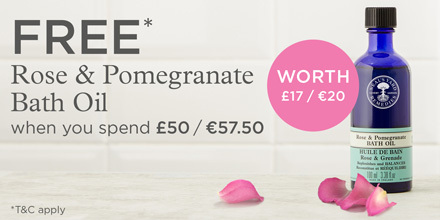 There is a limited offer for a FREE Rose & Pomegranate Bath Oil (minimum spend £50).